– What do editors look for? – Why did I (or the editor) select this image (and not another)? What you'll get: This is an opportunity for you to get into my head. Hear and see what considerations make for a real shoot. This is not theory. This is what happened, why it happened, and how it happened. This is pulling back the curtain on the mistakes. What could have been better. This is getting to see the entire process from start-to-finish. What this isn't: This is not a Photoshop-only class. We will not be covering basic Lightroom or Photoshop 101. I will not be explaining dodge & burn, how layers work, or how to use the spatial frequency separation technique. The post-processing focuses on the workflow and not specific techniques (click here to see the Analog Retouching Effects). 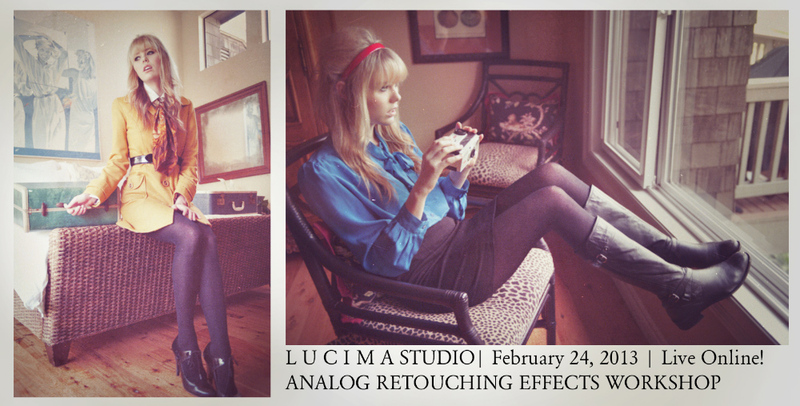 Check out the rebroadcast of the Analog Retouching Effects Workshop from February 2013!